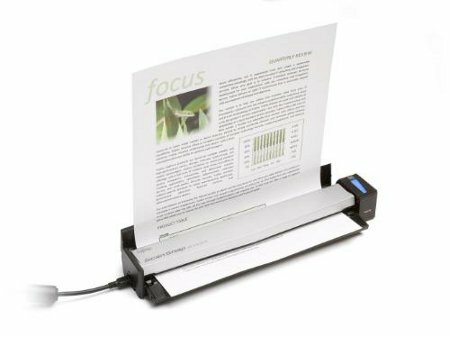 Fujitsu certainly wants to grab headlines by the scruff of its neck with the ScanSnap S1100 document scanner, where it is touted to be one of the smallest in the world without compromising on performance and functionality. The new ultra-portable scanner will tip the scales at slightly more than 12 ounces, cramming inside enough technology to pay homage to its larger brethren in the series despite sporting a new sleek style that allows you to easily fit it into a briefcase or purse and digitizes your documents anywhere, and at any time. Live product demonstrations of the new ScanSnap S1100 can be seen when CES 2011 opens to the public, so we’re stoked to have a look. The ScanSnap S1100 was specially designed to see action with a PC or Mac, where it will rely on its innovative paper path system and fast front-side color scanning functionality to quickly scan anything ranging from contracts and long receipts to business cards and plastic IDs. A single USB cable is all it takes to power the ScanSnap S1100, where it will convert all scanned data into searchable PDF files while enabling you to quickly transform your paperwork into editable Word and Excel files. Apart form that, ScanSnap S1100 lets you to scan documents directly to Evernote and Google Docs cloud services, making it a snap to store your paperwork and photos from just about anywhere as long as you’re hooked to a decent Internet connection. A single push of the button lets the ScanSnap S1100 make short work of a letter-size sheet of paper – taking just 7.5 seconds of your life, scanning it in 300dpi and color to boot. Continuous Document Feeding (CDF) will let users scan multiple-page documents into the PDF format by simply pushing the “Scan” button and inserting each page into the scanner. Once the scanning is complete, users will just need to push the “Scan” button again to end the scanning task while converting the data into a PDF. The Fujitsu ScanSnap S1100 can already be purchased for $199 in the US – business minded folks, how about putting this on your wish list? Just download an android application on your phone, it does even better job. Useless gadget!